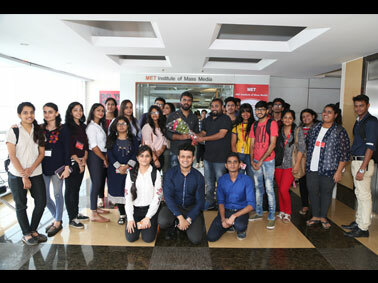 MET Institute of Mass Media Alumni Mr. Kushal Srivastava, an amazing film maker, conducted a session on behind the scenes of “Vodka Diaries” on 11 August 2018. In an interesting session, he took the students through his journey from being a PG Mass Media student at MET to becoming an award winning Film Director. He spoke about the opportunities and problems which occur behind the scenes. Mr. Srivastava gave them tips and advices to become a better film maker. 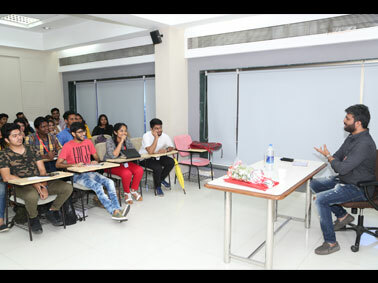 The session provided hands on understanding of the processes involved in the art of film making for the Advertising, Entertainment, Journalism, PR & Digital Marketing students alike.